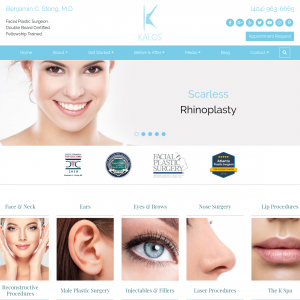 This content has been reviewed for accuracy by Dr. Maurice Khosh, New York Facial Plastic Surgeon and Facelift Specialist. The facelift is the gold standard of anti-aging facial plastic surgeries. If a facelift is performed by a talented facial plastic surgeon, no other procedure can help a person look more like their younger self. Facelifts can rejuvenate the lower face and neck for a firmer, more youthful appearance. One of the most noticeable changes in the face with aging is the loss of tone and firmness in the jowls, chin and neck. Gravity, loss of skin elasticity, weight fluctuations and other factors can affect the facial tissues. Lines and wrinkles appear around the nose and mouth, and the skin and tissue can sag. The jawline can become less firm, with sagging or drooping skin or tissue under the chin and on the neck. Rhytidectomy, or a facelift, can remove excess skin and recreate a firmer, elevated lower face and neck to help patients look ten or more years younger. Deep plane facelift. A deep plane facelift is a complex procedure that can have longer-lasting, more natural-appearing results. The deeper levels of muscle and fat layers can be repositioned and elevated to create a more natural, lasting rejuvenation of the jowls, chin and upper neck. SMAS facelift. For those with sagging jowls and the beginnings of a “turkey neck” can benefit from a superficial musculoaponeurotic system, or SMAS facelift. This type of facelift lifts the skin and SMAS layer under the skin for a natural, youthful facial restoration. Midface lift. While classic facelifts address the lower face, jowls and neck, they do not adjust the cheek or midface region. When the cheek fats droop, it can cause hollows or bags under the eyes for a tired, older appearance. A midface lift elevates the cheek pads and skin to reduce eye bags, nasolabial lines and sagging in the cheeks. Revision facelift. A revision facelift can be either a repair of an unsuccessful facelift or a secondary facelift when aging begins to undo the results of a previous facelift. The type of facelift depends on the patient and the results desired. These more complex facelifts require an experienced facial plastic surgeon that has the training needed to safely and effectively perform the required tissue adjustments. Those experiencing sagging, lines and loose skin in the lower face and upper neck can be excellent candidates for a rhytidectomy. Unlike eyelid or brow lifts, which can benefit from skin tightening or elevation alone, the thicker skin and tissue in the lower face may require deeper levels of lifting to create lasting and natural results. When a deep plane, or SMAS facelift, is performed, the results can help the patient look many years younger and may last ten years or more. Although facial fillers and skin treatments can help fight lines and skin aging, facelifts are the only procedure that can lift the skin and tissues of the lower face and upper neck that have sagged from the aging process. When advanced methods are used, the results can appear natural and restore a patient’s face to a more youthful, firmer and refreshed appearance. Patients with significant medical problems or patients taking anticoagulants would not be candidates for facelift surgery.